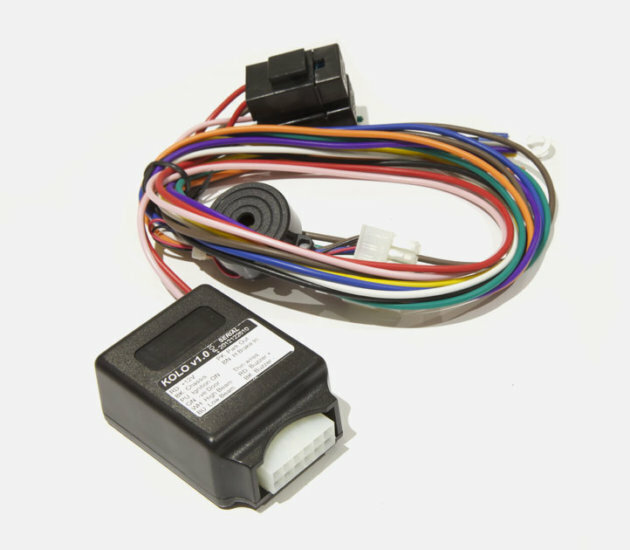 The Kolo is an intelligent, universal, stand alone daytime running lights controller with hand-brake warning system. While the ignition is turned on, the system monitors the vehicle battery. Once the battery begins to receive charge, the system will switch on the vehicles low beam and park light circuits. Available in the Negative & Positive Switching.